On Thursday, November 12, 2015, Texas A&M University filed suit against the NFL’s Indianapolis Colts alleging infringement and dilution of its various “12th Man” trademark rights. If this sounds familiar or redundant, remember that A&M previously sued the NFL’s Seattle Seahawks for unauthorized use of the same trademarks nearly a decade ago. A&M eventually settled that matter with the Seahawks, with the NFL franchise agreeing to pay a license fee to A&M. 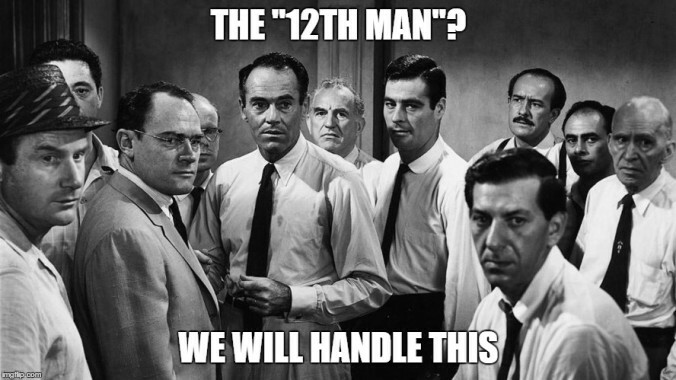 The actual terms of that license and settlement were never made public and Seattle continues to use variants of the “12th Man” name today.